A little while ago I wrote an extensive post detailing all of the things that Ni No Kuni does wrong. The short version is that, it's a good game but is it has terrible compantion AI, terrible pacing, tries to do too many things with it's combat and is very repetitive. The reason I mention this is because of the other game I've been playing recently: Shin Megami Tensei: Devil Survivor Overlocked. While it's a much simpler game with no exploration, no puzzles, simple graphics, almost no animation, etc, I feel like it succeeds in all of the places that Ni No Kuni fails. So I thought I would take some time today to explain my thinking on the matter. 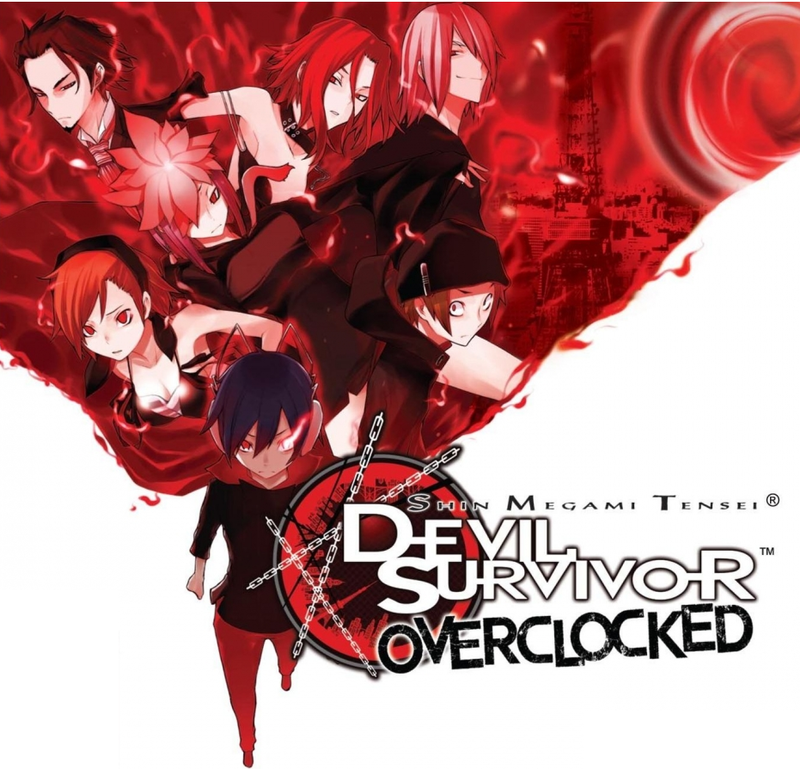 To begin with, let's look at how Devil Survivor works, and why it's similar to Ni No Kuni. Basically, Devil Survivor is what you would get if you mixed a monster collecting game like Pokemon, and a strategy RPG like Fire Emblem. In battle you have up to 4 characters, each of whom leads it's own unit consisting of themselves and two demon companions. The player moves around the grid-based map and engages opponents in battle. 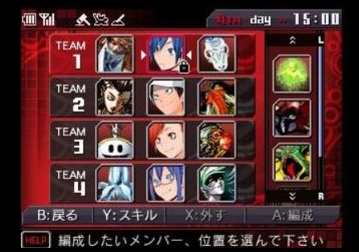 Upon entering said battle, the game transitions to a turn-based combat system wherein each member of the two engaging units can use one attack. Beyond this, there is an "extra turn" system, wherein each combatant can earn an extra turn (or cancel the opponent's extra turn) if in this combat phase they hit an opponent with an element they are weak to, score a critical hit, or are just really fast. The way that this is similar to Ni No Kuni is simply in the monster collection aspect of things. While you don't tame demon's, just about every opponent you face in battle can be obtained for your own use. Furthermore, there is a big focus on building a cohesive team by choosing the best demons to place on your team. Before I get too deep into how the monster systems compare though, I want to talk a bit about the rate at which new mechanics are introduced. As I stated in the other article, Ni No Kuni goes at a slugs pace. Several hours pass between each new mechanic. More to the point though, it feels like the game goes out of it's way to show you why you need this ability before it finally bestows it upon you. The result is basically just frustration all around. Before you get whatever ability, you feel frustrated. It's obvious something is missing and you are being forced to do things the hard way. When you finally do get this new ability, it's a sigh of relief or a "Now why couldn't they have given me this 3 hours ago?". In Contrast, Devil Survivor has a much choppier approach to doling out the goods. Devil Survivor's new mechanics are also all based around the mechanic of improving your demon party through customization. Between the speed and the fact that each mechanic builds upon the last, acquiring some new ability feels way more fulfilling than in Ni No Kuni. The feeling is more along the lines of "Wait, I can do what now? Wow, that's cool, I can't wait to give it a whirl!". Now then, on to the matter at hand. When it comes to the whole matter of building a team of monsters, there is one main thing that I look for. I want to be able to look at the available allies, easily discern the basic strengths, abilities and weaknesses of each, and with that knowledge compose a team that has the highest possible effectiveness in the most possible situations. I'm a sucker for customization and planning long term. Ni No Kuni has none of this. Customization is minimal, and each monster has way too many factors to consider, making it next to impossible to put together a team that really complements each other as best as possible. You could certainly put together a good team, but it often involves ignoring a monsters elements or astrological sign. On the other hand, Devil Survivor strikes a wonderful balance with it's mechanics, despite having just as many or possibly even more. I suppose you could say it has depth where Ni No Kuni his complexity. It's mechanics complement each other rather than get in each other's way. It's pretty easy to put together a team that wrecks fire monsters, but is really weak against electricity. You could also then solve that by changing out monsters (which you can do in between encounters, even) or even fusing demons together in such a way as to remove weaknesses. Want a healer in this team, but your spellslinger knows no heals? Well, it's not too hard to teach them one, no matter who they are. These are just some examples of how Devil Survivor does things better. I could go through a ton of specific examples, but I think you get the point. 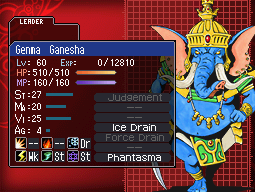 Devil Survivor is all about putting together a team that works well together. Exploiting your enemy's weakness is quite literally a core mechanic. The games goes to great lengths to accommodate your ability to do this by customizing your crew through interesting methods. Ni No Kuni is bogged down by trying to do too many things which get in each others way. In the end of the day a lot of people just end up going with whatever they think is the coolest. Which has merit in it's own I suppose. The fact that you can beat the game using pretty much whatever monsters you want will appeal to some. It's certainly not deep, compelling gameplay though. That about sums the comparison up, actually. Ni No Kuni is all flash but little substance, whereas Devil Survivor is all substance and no flash.